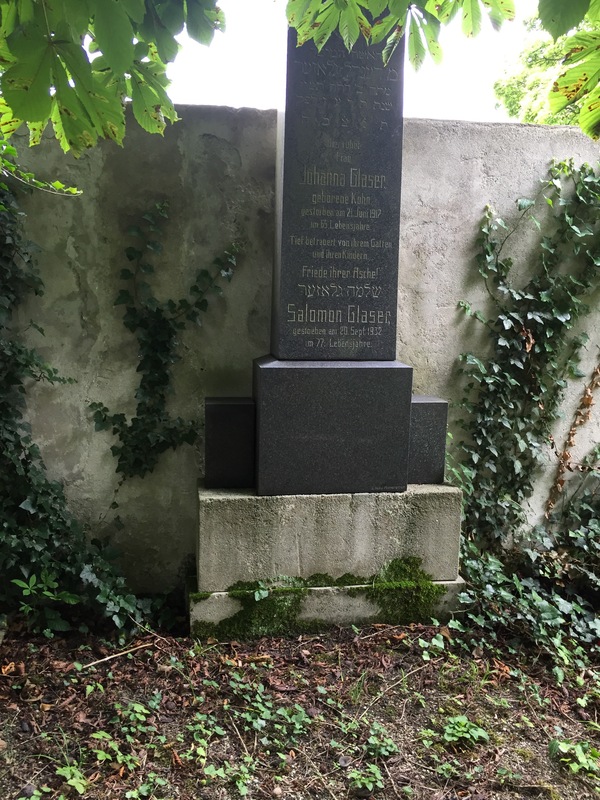 At a half an hour by train west from Vienna is the capital of Lower Austria, the city of Sankt Poelten and its vicinities, Boehemkirchen, Neulengbach and Eichgraben where my paternal family comes from and great grandparents and siblings of my grandparents are buried. 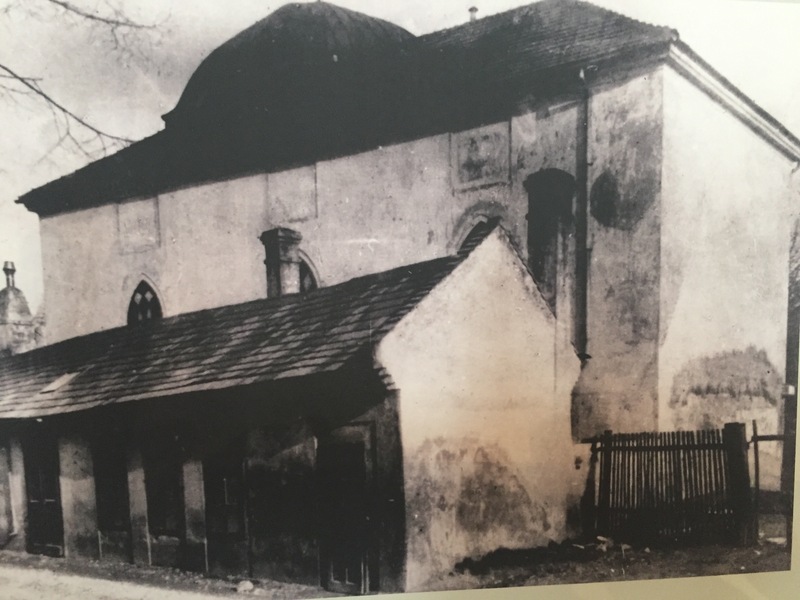 My great grandfather used to commute to Vienna to conduct his business but attended St Poelten Synagogue, Built 1913. 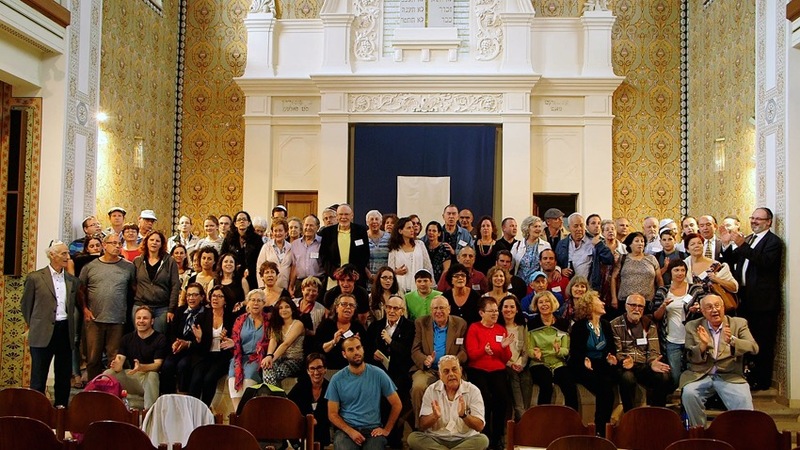 Between the 26th and 29th of June 2016 the Institute of Jewish history in Austria based in St Poelten organised an ancestors reunion, 89 family members came from Israel, US, México, Argentina, UK for lectures, exhibitions and visits to the city, houses of our families and the cemeteries. 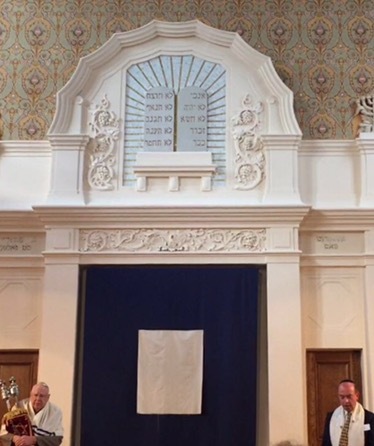 I led a memorial service and Rabbi Folger the Chief Rabbi of Vienna came, it was very emotional, in 1938 the Synagogue was destroyed by the Nazis. 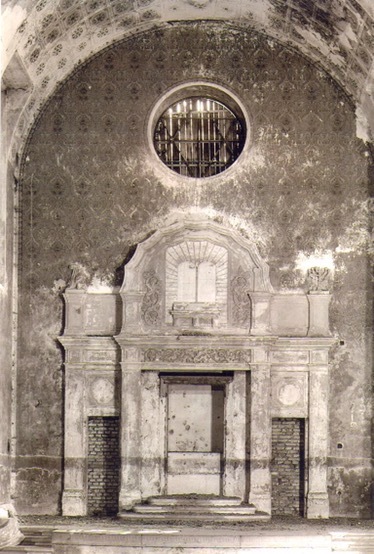 In 1988 it was restored and the Institute was established to counteract anti- and philo-Semitic prejudices and incorrect information through academic research, publications, lectures and activities in the area of adult education and school projects, it uses it as well as a venue for concerts and the yearly summer academy takes place here, which brought me for the first time back in 2001. 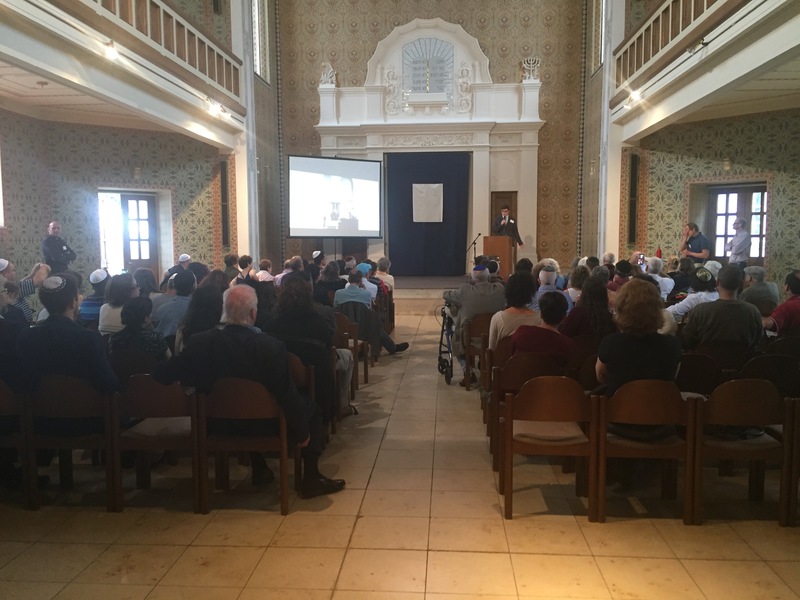 “After the Holocaust, today again used not only as a house of assembly, Beit Haknesset but as a house of prayer, Beit Hatefila”, as the organiser Dr Wolfgang Gasser said in the presence of the children, grandchildren and great grandchildren of its original members. 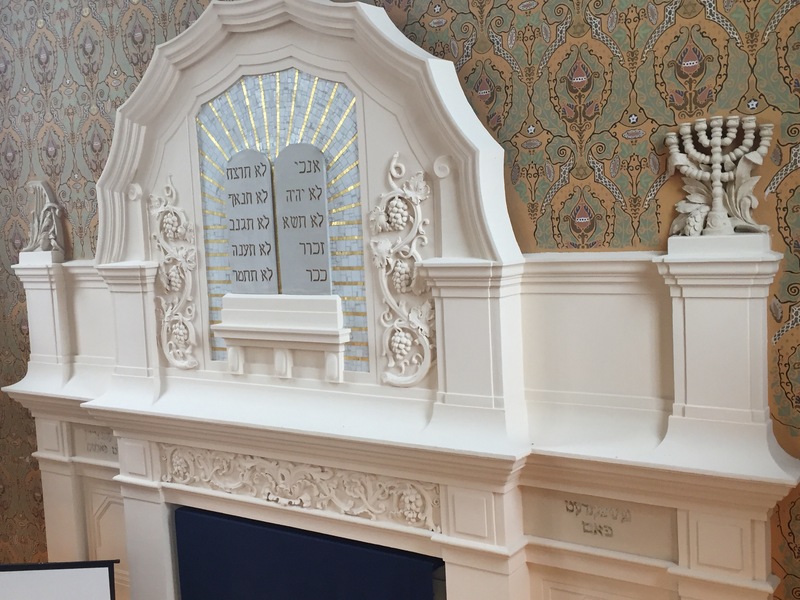 Between them 14 descendants of former Cantor Phillip Wolf Rabinowitsch, 75 years after, we were praying together again, in the same shul our families used to worship. 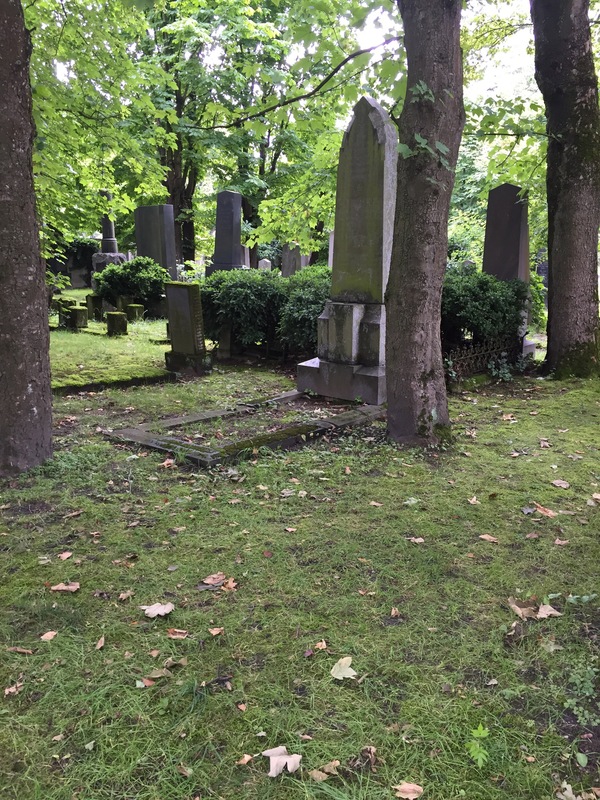 We could say Kaddish with my dear cousins Ruth and Ed in their year of mourning and asked for the souls of all those who had gone to their eternal place of rest. 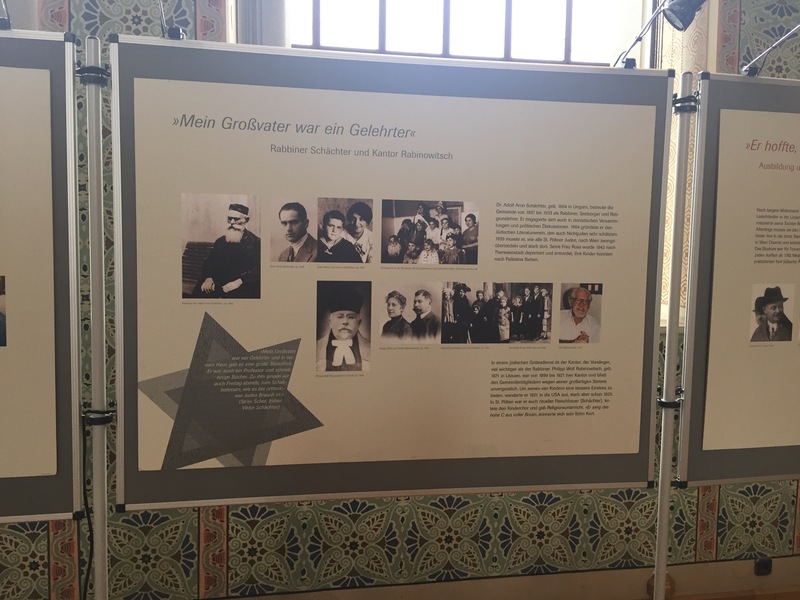 We learn from the many years of research done by the team of scholars led by Professor Martha Keil, between others of the families and their whereabouts, it teaches about the Cantor; (as you can read below in the exhibition’s panel) how they were those who had the primary function in the Synagogue service.